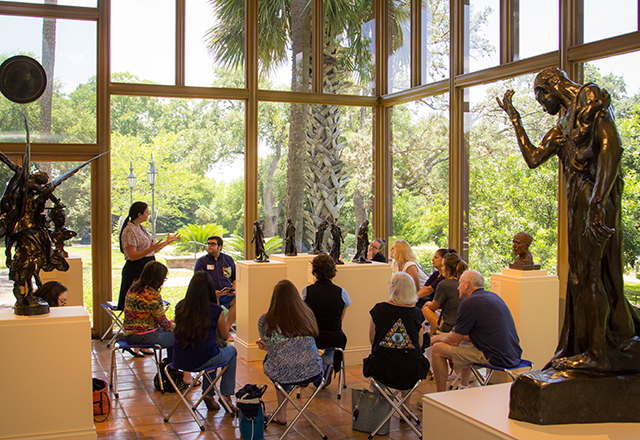 McNay docents offer monthly drop-in tour of museum highlights at 3:00 pm during Free First Sundays. Museum educators offer snapshot tours of art on view during free Second Thursdays at 6:30 and 7:30 pm. McNay docents offer monthly drop-in tour of the special exhibition at 3:00 pm. Free for members and those 19 and under; $20 for nonmember adults.